Bran is one of the healthiest foods that you can eat. 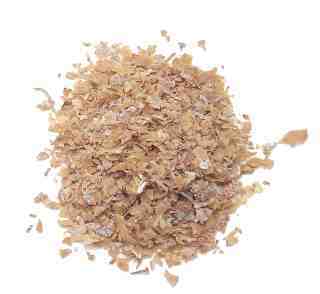 The American Heart Association encourages people to eat bran to help reduce cholesterol and blood pressure. The American Diabetes Association is also an avid promoter of bran because eating it can lower one’s glycemic index. While vegetarians and vegans probably don’t need a fiber boost from bran, they should include bran in their diets because of all the hard-to-get nutrients which are packed into the super food. But here is the problem: bran tastes like cardboard. If you disagree with this statement, then lucky you! Most of us find bran’s taste and texture to be nearly unpalatable. That is why almost all bran recipes are for cereals, muffins, or other baked goods – the cardboardiness of bran can get easily masked by the flour’s texture. Bran doesn’t have to be relegated to just baked goods though. Here are some easy ways to get more bran in your diet. Bran works really well in dips. You just have to make sure to mix it with a liquid before adding it to the dip (as opposed to trying to mix it directly into your dip ingredients). Add a spoonful of bran to humus, bean dips, or spinach dips and your body will love you for it! Whenever a sauce recipe calls for flour or starch to thicken it, try using bran instead. Just make sure to stir like crazy because bran gets even clumpier than flour! I first mix the bran with a bit of liquid and then add it to the sauce to avoid clumps. For creamy soups, add the bran after you finish sautéing the veggies, but right before you add the veggie stock. For thin soups, take out a bit of the soup liquid and mix it with bran. Then add it on top of your soup. Don’t add it directly to the soup though because you might end up with clumps when you reheat the leftovers later! If you drink smoothies, you should definitely make sure to add a small scoop of bran to the mix! Bran especially goes well with any yogurt-based smoothie. When I buy nut butter, the first thing I do when I get home is mix a heaping spoonful of bran into the container (I buy peanut butter fresh from the machine, so it is easy to leave a bit of room in the container for mixing in bran). The taste of peanuts is so strong that you can’t even detect the bran. Plus, the creaminess of nut butter overrides the crudeness of bran. For bran recipe ideas, check out the All-Bran recipe page. Most of the recipes aren’t vegan or vegetarian, but it is a good starting point for thinking up new ways to use bran.